Photos by Asia Morris. Renderings courtesy of Shooshani Developers. 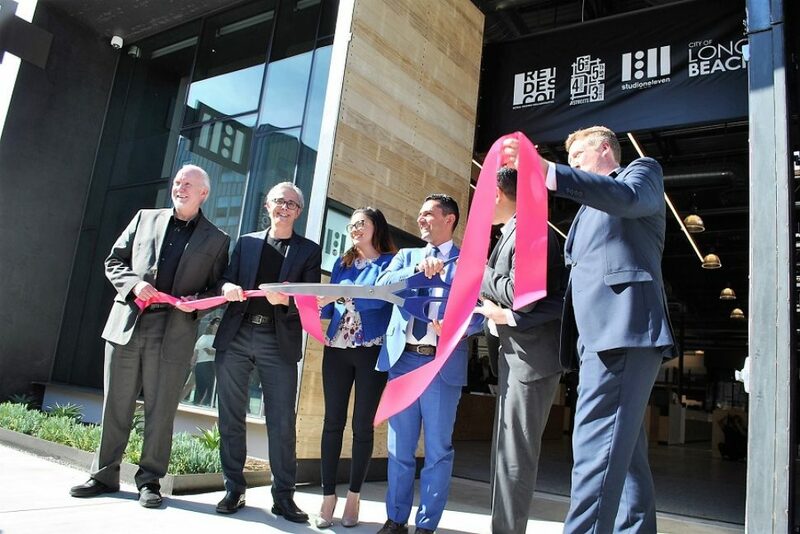 From left to right: Steve Ruth, CEO of Retail Design Collaborative, Alan Pullman, Studio One Eleven Founding Principal, Lena Gonzalez, First District Councilwoman, Tony Shooshani, Managing Member of Shooshani Developers, Long Beach Mayor Robert Garcia and Michael Bohn, Studio One Eleven Senior Principal. Retail Design Collaborative and Studio One Eleven, now sister companies, moved from occupying the 20th and 21st floors of the Landmark Square building in downtown, in a major undertaking to evolve their workplace and create a space that would “catalyze neighborhood engagement and also create a sense of regeneration,” said Studio One Eleven Founding Principal Alan Pullman. 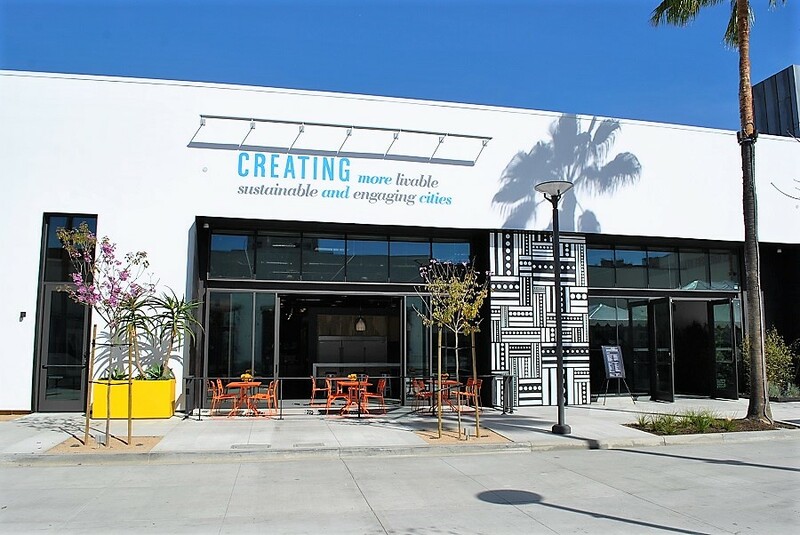 Retail Design Collaborative, a 165-person retail design firm established in Long Beach in 1979, added Studio One Eleven in 2000 as a team focused on the revitalization of cities. 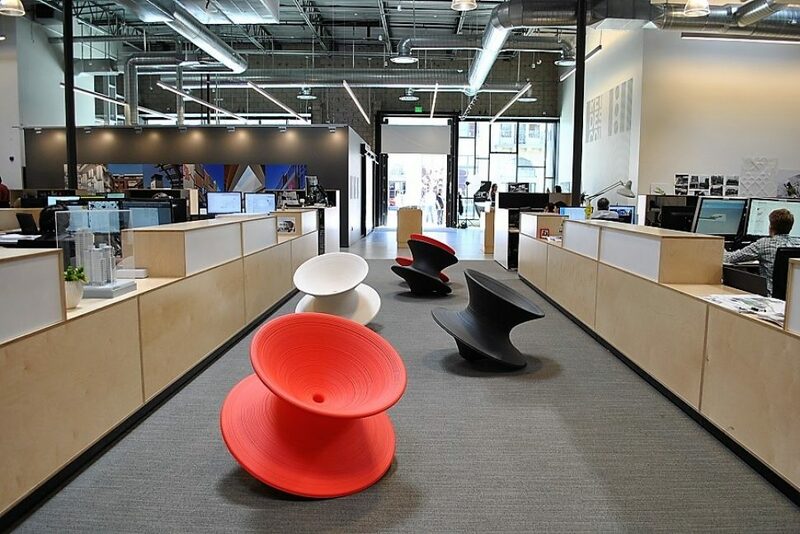 The studio has since expanded to offices in downtown Los Angeles, Washington, D.C. and Shanghai, China. “It’s been a lot of change, but the one constant is that Long Beach has always been our headquarters and I’m really happy to say that after 38 years, we’re still going strong here in Long Beach,” Pullman said during his introduction. Befitting their open-office philosophy, the design of the new space removes all but one private office, for human resources. Scattered throughout are break-out rooms, or collaborative pods, used for meetings. Wrapping the perimeter of the space is a mezzanine, creating a “bridgewalk” overlooking office activity below. 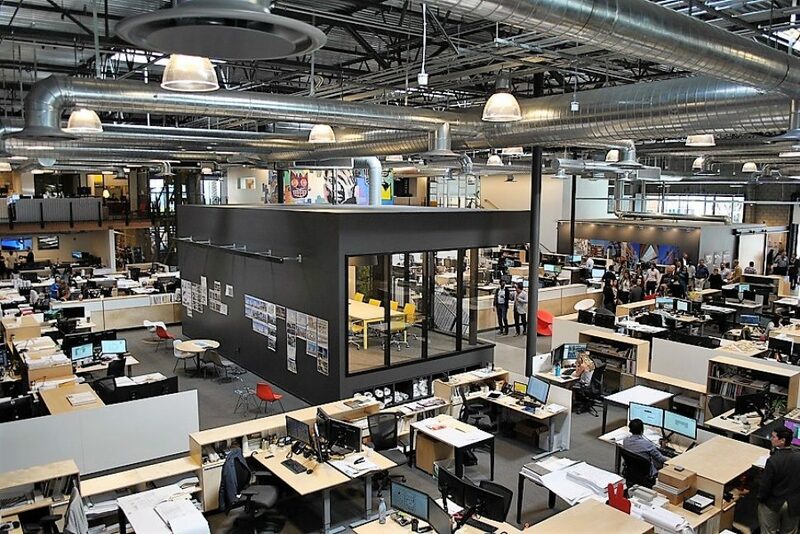 Design elements include a hospitality kitchen, open work clusters, idea lounges, flex offices, a community room, material library, showers and lockers, bicycle storage and outdoor patios. The firms designed the office to act as an “urban gallery” for the community and embraced local arts by having six different artists design and paint large-scale murals on both the interior and exterior of the building. Currently, Modern Long Beach Through the Lens of Julius Shulman, is on display in the lobby and will run through April 9. Also included in the plans is a flexible community room, allowing non-profit organizations to host events and meetings pro bono. The new offices also include rent-free office space for the Long Beach-based nonprofit, We Are The Next (Next), on its second floor loft area, accommodating the historic preservation-focused organization’s five workers. Recent projects from Next include a collaboration with Downtown Long Beach Alliance and City Fabrick, where three “Step Back” viewers were installed in different locations, to give pedestrians a chance to compare the current cityscape with photos from the 50s, 60s and 70s. 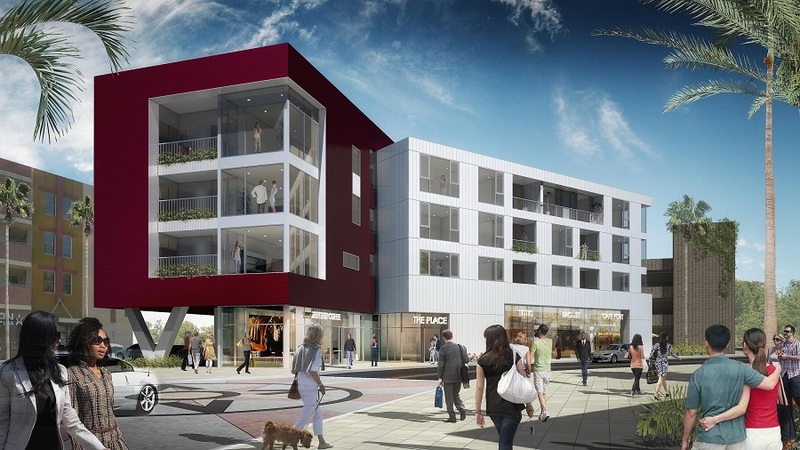 The firms have submitted for WELL Gold, and if approved, would be the first in Long Beach and the South Bay to achieve the human health and wellness building standard. It would also be one of the first 25 buildings in the country to be WELL Gold certified, said Studio One Eleven Senior Principal Michael Bohn. The adaptive-reuse project also integrated into the design natural daylight and ventilation, lighting controls for energy conservation, low water consumption and smart material selection, according to the release. The project is anticipated to be LEED Platinum certified. The newly occupied space that was formerly a Nordstrom Rack located within the downtown retail area, known as City Place, is part of an even larger revitalization. “From today, we can start referring to the ground level of the six-block area as ‘The Streets’ and that each street will develop as micro destinations with a unique personality based on the tenant mix,” Shooshani said. 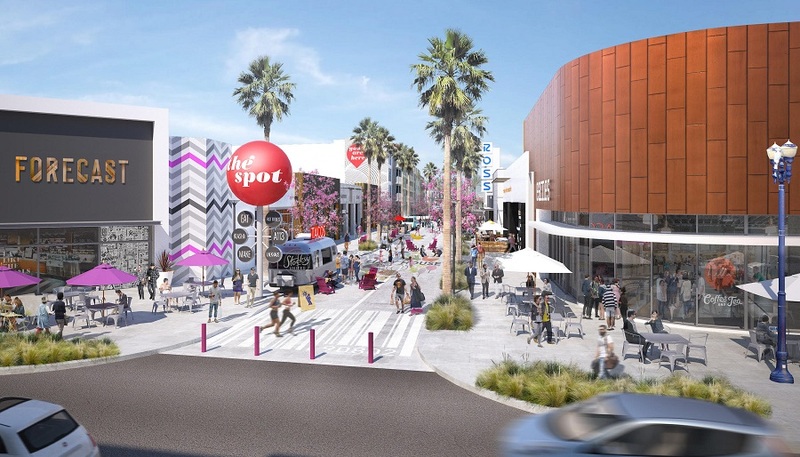 These streets will also have new tenants, as Shooshani announced new lease agreements with Burgerim, Creative Crepes, Party Monkey, Poke Cat, Romeo Chocolates, Table 301 and The Plant Junkie. 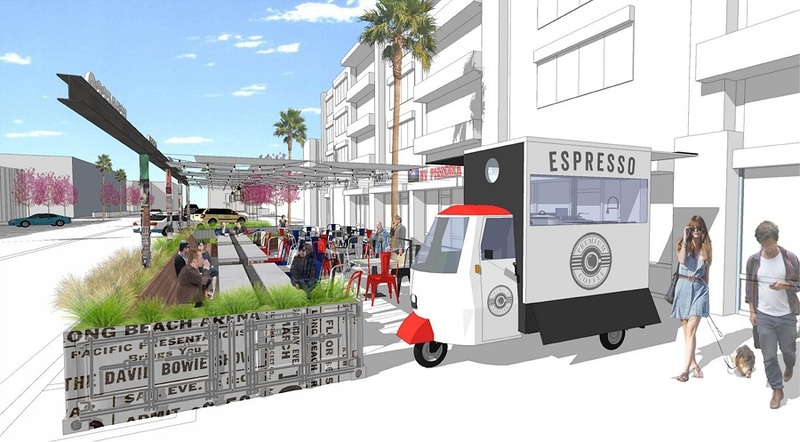 Also revealed were plans to design a parklet dining area in front of Milana’s New York Pizzeria, Mitaki Japanese Restaurant and Fresh Kabobs on 4th Street, as well as a proposed new parklet for Pine Avenue to be located in front of The Pie Bar.